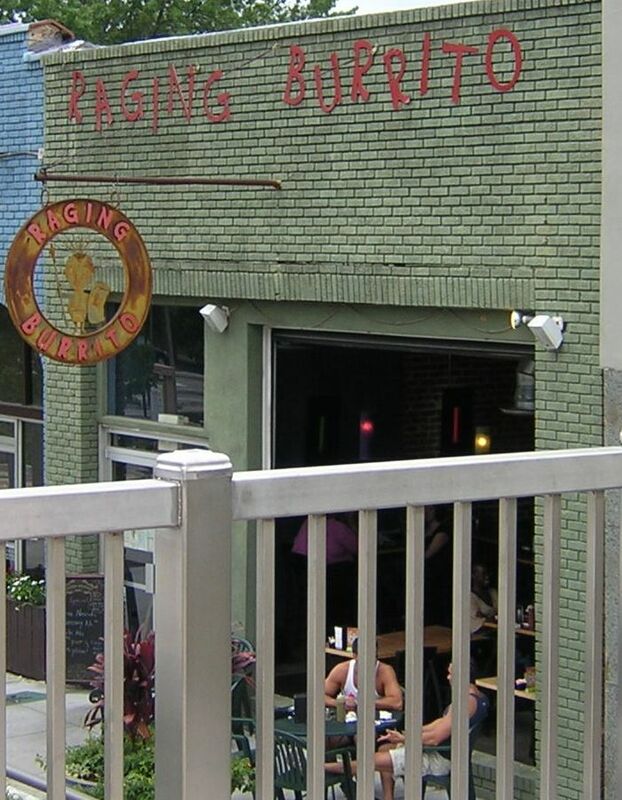 Not too far from the Brick Store, The Raging Burrito carries solid beer offerings-but that's not why you go. The attraction is killer Mexican food- all the better served with several Terrapin beers, 5 or 6 Sweetwater beers, Dogfish Head 60 Minute IPA, and a few others that I can't remember. They also sell BMC so beer uber-geeks should be forewarned not to have a "Monk" moment. The food is great. I had a shredded beef taco and a fish taco with a salad-the missus had a veggie burrito and all were great. I was driving so I only had one beer (Terrapin Rye Pale Ale) and it was fine. Service was very good and prices were about in-line with similar items elsewhere. Oh, park behind Johnny's Pizzeria and the Raging Burrito will validate 1 Â½" of parking.